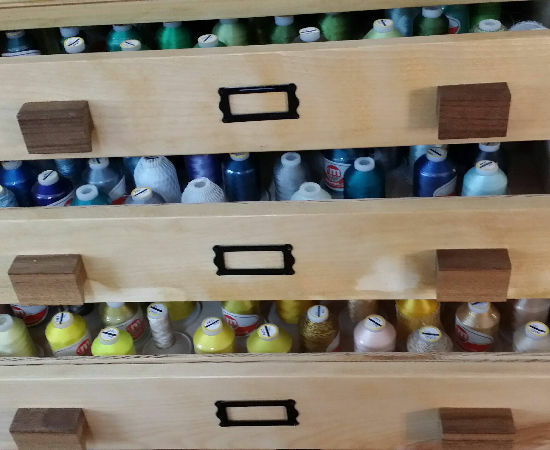 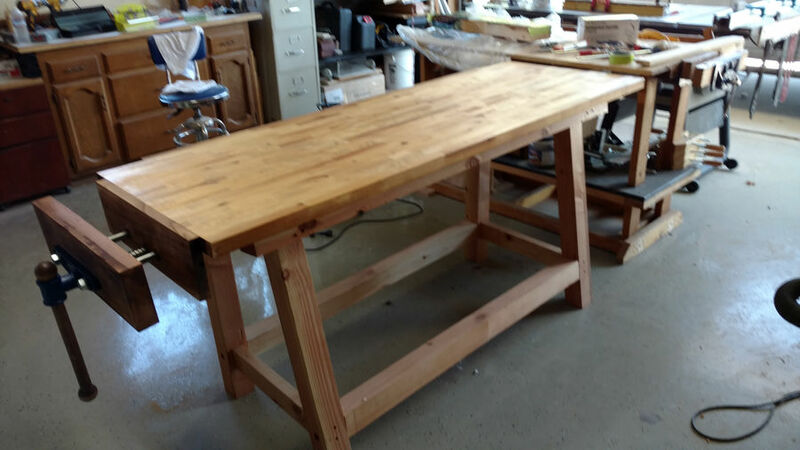 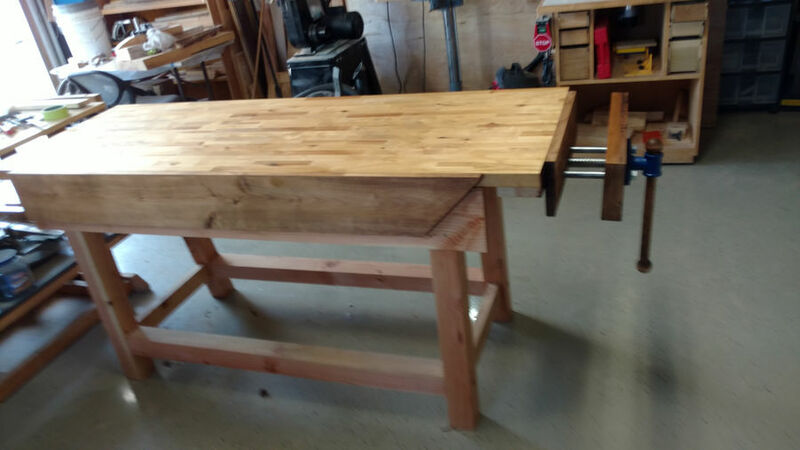 So after years working on a crap work bench I made back when I did not know what I was doing. 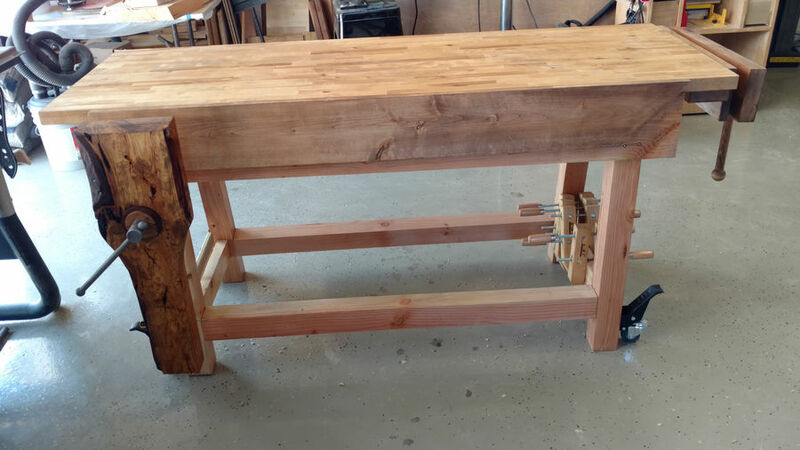 I've made a new crap bench to learn that I still don't know what I'm doing. 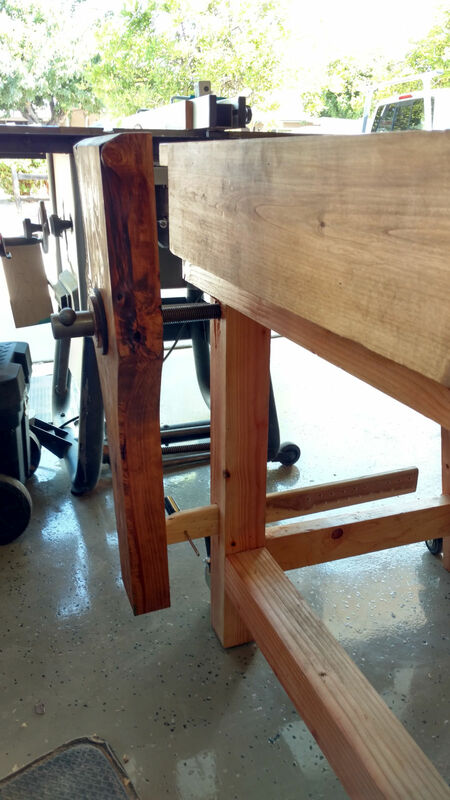 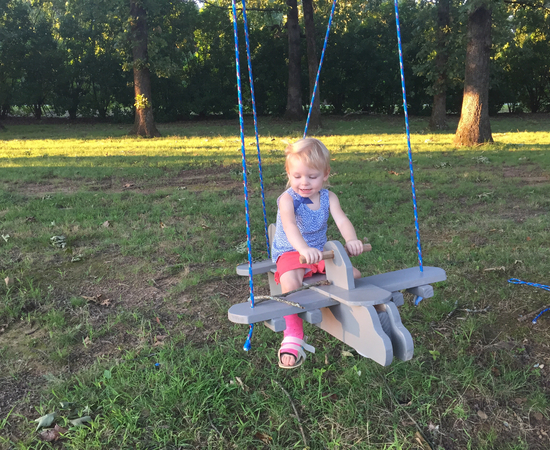 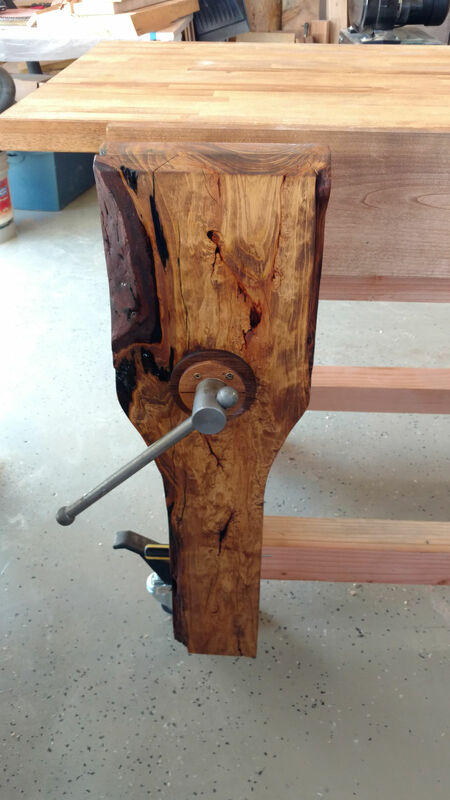 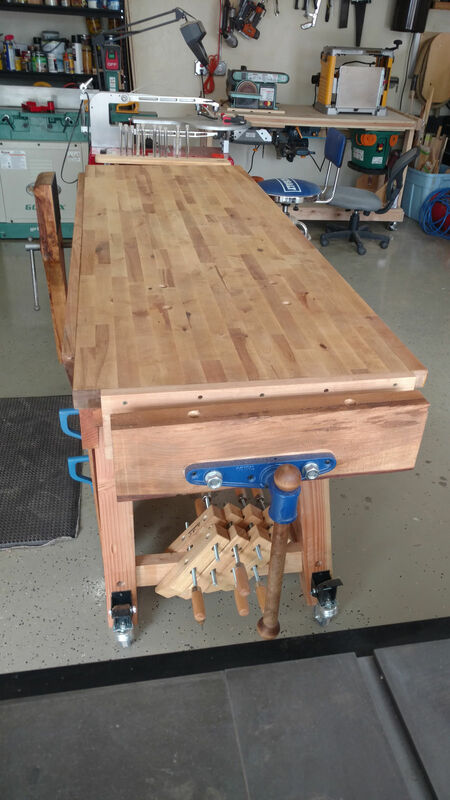 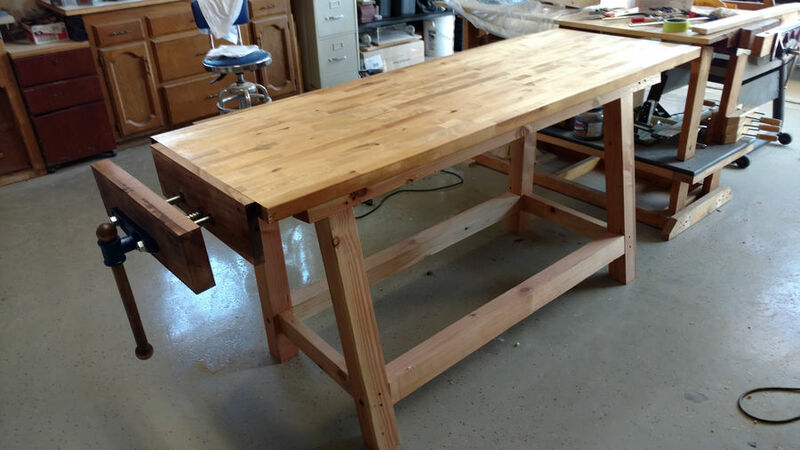 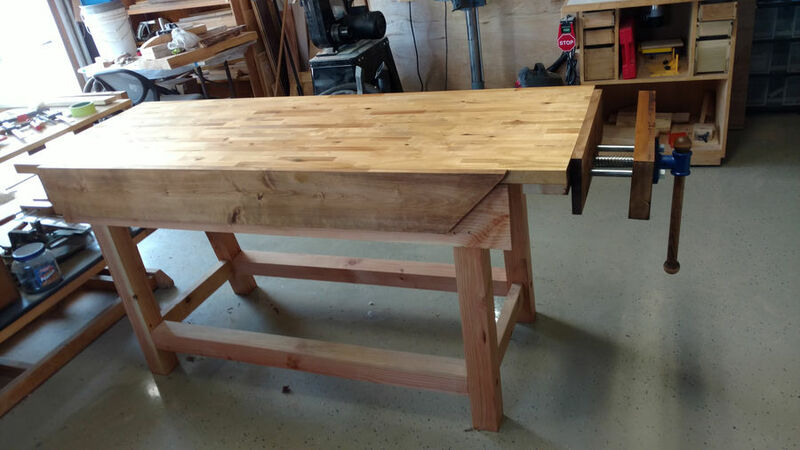 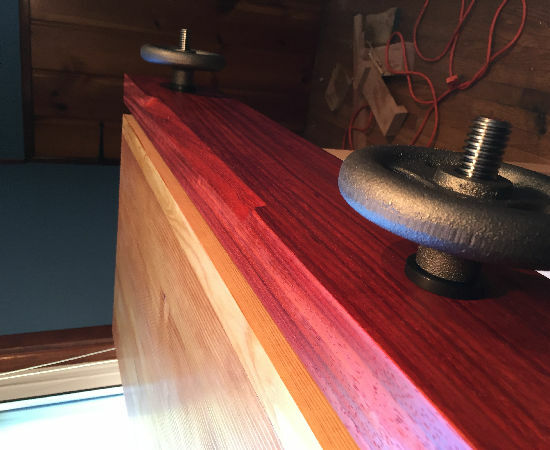 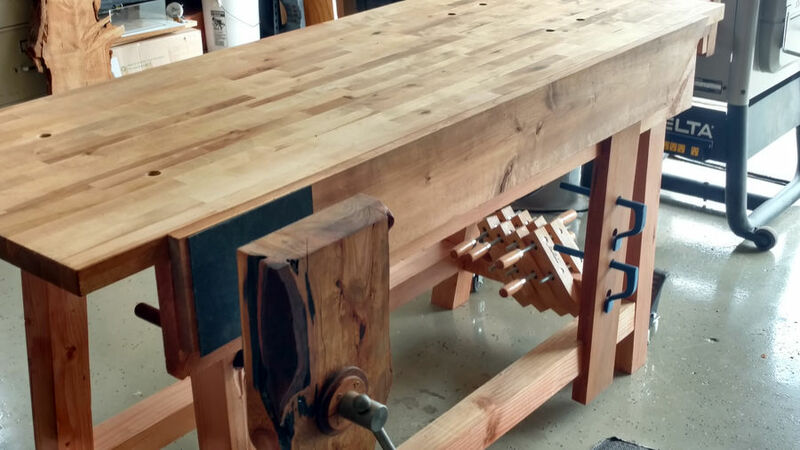 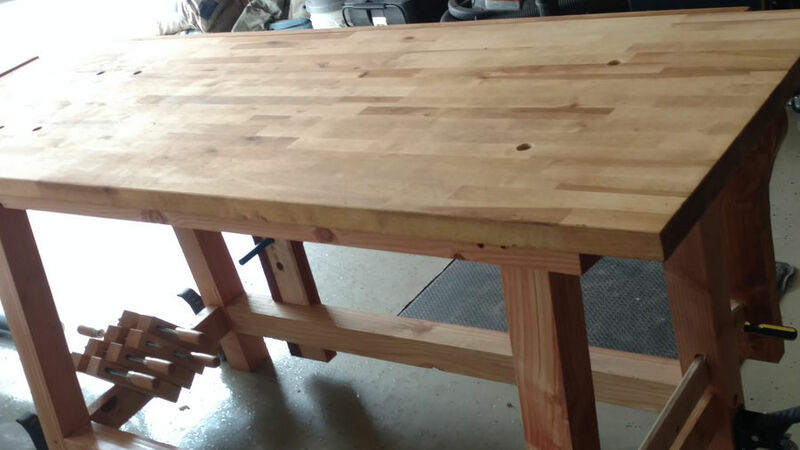 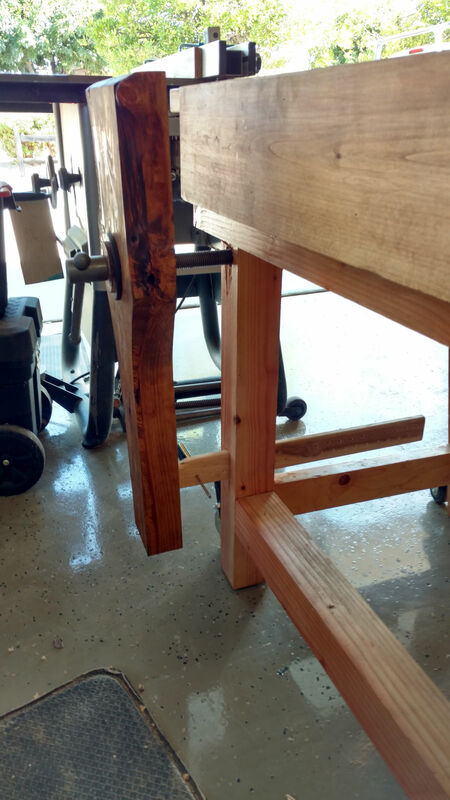 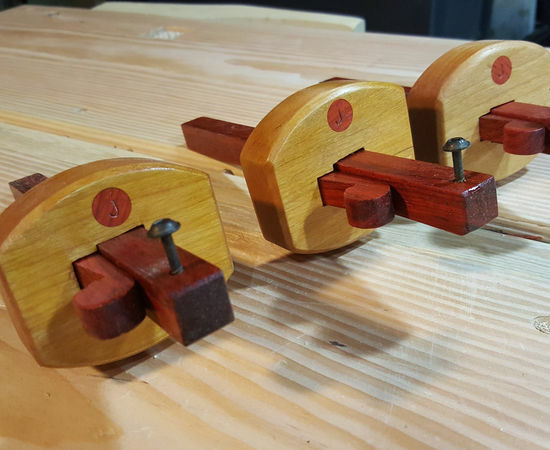 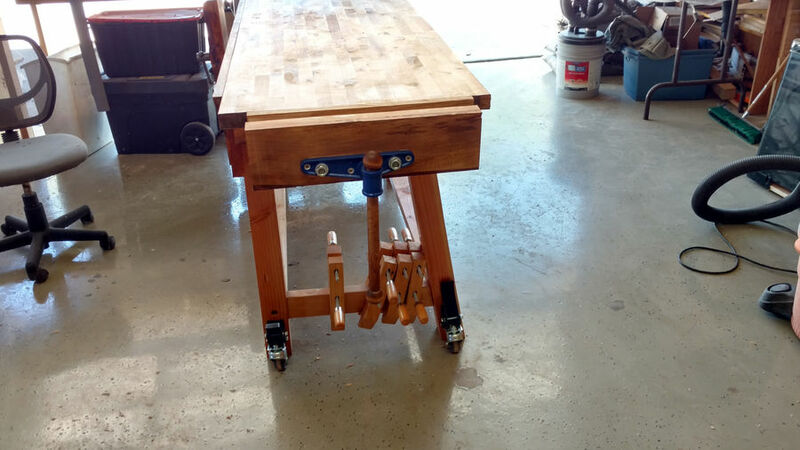 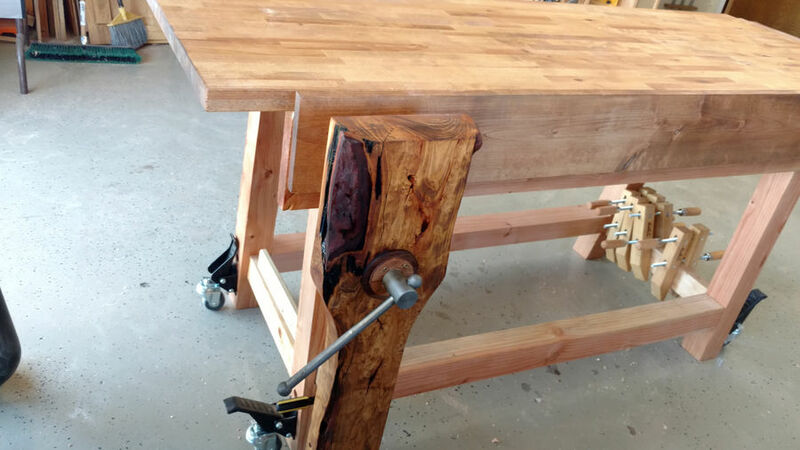 Not a lot of build pictures.The Bench is a mod of Charles Hayward's "How to make woodwork tools" http://toolemera.com/bkpdf/haywardhowtobk.pdf I have a few live edge pieces and wanted to try using one for the leg vice. 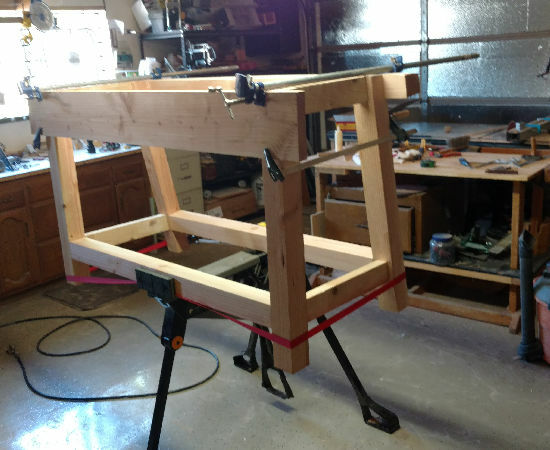 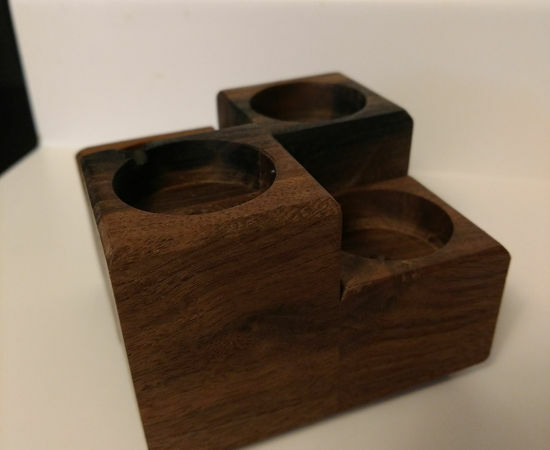 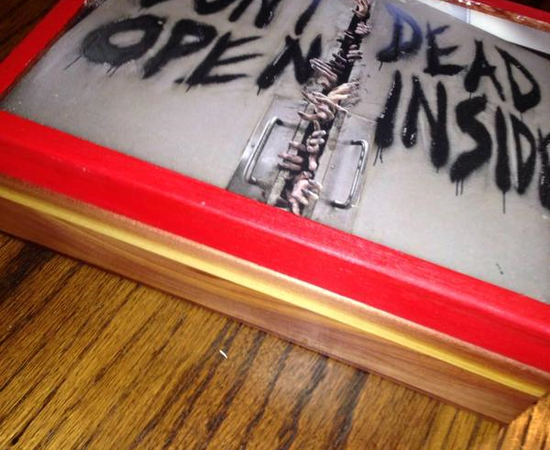 if it doesn't work I'll put in a different chunk of wood but I like the look.I still need to maybe put a tool tray on it but for now I am happy and am going to build a couple of picture frames.